Look, I’ll be the first to admit I can’t stand sunscreen. I spend a decent amount of time outside on the weekends, and when I do I usually opt to go without the messy, slippery, uncomfortable creams, gels, and sprays. But this summer I’ve been hearing more about edible and drinkable sunscreens. A study from the American Academy of Dermatology found that only 14.3% of men and 30% of women report regularly using rub-on sunscreen. It’s messy, it’s sticky and it has to be reapplied regularly, and for many, it’s just a hassle they don’t need. Edible sunscreens are touted to be packed with vitamins, nutrients, and antioxidants that can protect your skin from the inside out, with the claim that all it takes is a quick drink in the morning or popping a couple of pills. Are These Easy-Fix Sunscreen Options for Real? UVO, a drinkable sunscreen, is reportedly packed with 30 immune-boosting nutrients and antioxidants that help repair skin from sun damage. You probably know that nutrients like vitamin E and vitamin C, among others, are good for your skin. But taking a supplement may not protect you from burning…and it might not even have any other benefits either. The efficacy of supplementation—regardless of why it’s being used—is still in question. I stand by my belief that the best source of virtually every nutrient is whole food. There are also pills that people are taking for sun protection called “Heliocare.” Made from Polypodium leucotomos—plants native to Central and South America—these herbal remedies are marketed to make skin more resilient against the sun’s rays. But like any other supplement or herbal remedy, Heliocare is not a medicine and therefore is not subject to FDA approval. Same goes for UVO. There’s anecdotal evidence that these edible sunscreens work; however, there is no science behind the effectiveness of these products, and it’s my guess they’re probably ineffective. So, if you’ve been thinking about taking an edible sunscreen, you might want to reconsider. Sunscreens are almost always applied directly to the skin to shield it from the sun’s rays. And regardless of how nutritious a person’s diet is or how many supplements they take each day, I’ve never met anyone who’s immune to sunburn. 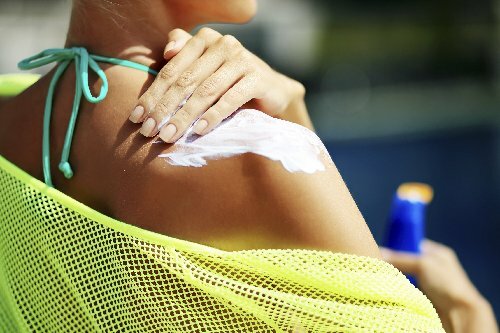 What makes topical sunscreens effective—and it’s still under debate whether spray-on options even are—is the sun-protection factor (SPF) power. SPF absorbs or reflects the sun’s rays, meaning it virtually needs to be on top of your skin to be effective. Look it at like this: you can drink as much wine or whiskey as you want, but it won’t protect you from the cold; putting on a jacket will. So, if you want to protect yourself from the sun, stick to rub-on sunscreens or avoid exposure as best you can. Until there is more data on the supplements, I’d say it’s in your best interest to avoid them. Krueger, A., “Edible sunscreens are all the rage, but no proof they work,” The New York Times, August 29, 2016; http://well.blogs.nytimes.com/2016/08/29/edible-sunscreens-all-the-rage-but-no-proof-they-work/?rref=collection%2Fsectioncollection%2Fhealth&action=click&contentCollection=health&region=rank&module=package&version=highlights&contentPlacement=1&pgtype=sectionfront, last accessed August 29, 2016.